On June 20, 2012, the M/V Zhen Hua 13 delivered new cranes from China to the Port of Baltimore by navigating the waters of Chesapeake Bay. 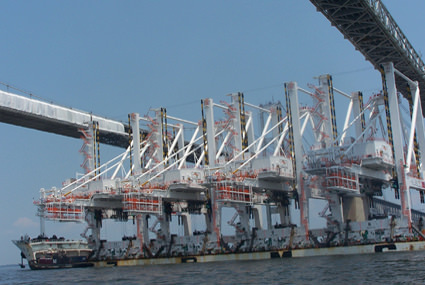 To reach this destination, the cranes had to clear a major obstacle—passing under the Chesapeake Bay Bridge outside of Annapolis. 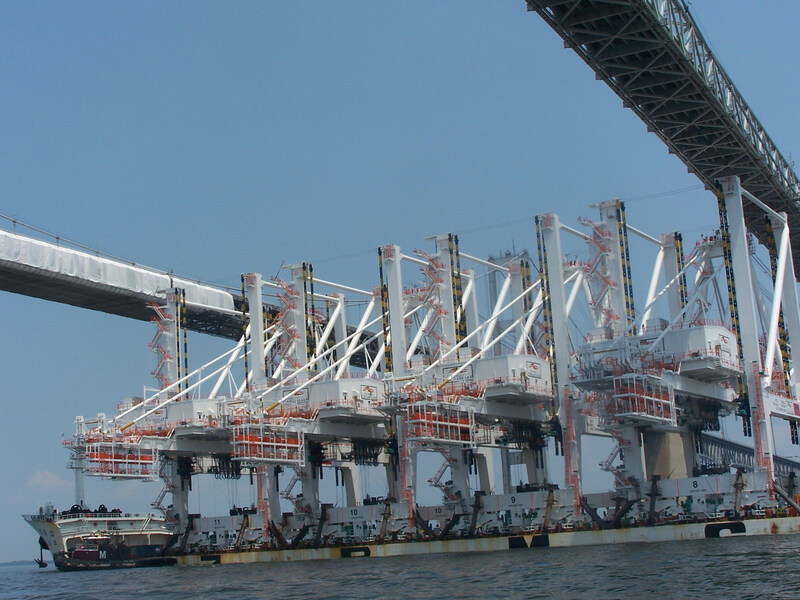 As the cranes slid under the bridge, the National Ocean Service provided air gap information as part of the Northern Chesapeake Bay Physical Oceanographic Real-Time System (PORTS®). These measurements, along with real-time tides and current data, helped to ensure a safe and early passage of the ship in to the Port of Baltimore.